I know this is a late post but some of you might still be benefited. So rock on and visit them today! Nikon booth at Photoworld Asia in Glorietta Activity Center. Promotion is from January 26 to 31, 2011. 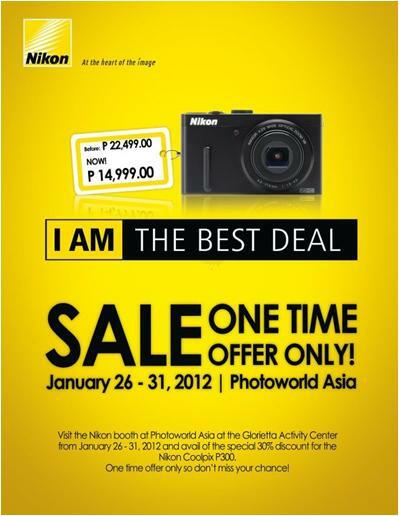 Special 30% discount for the Nikon Coolpix P300. From a regular price of P22,499 to P14,999. 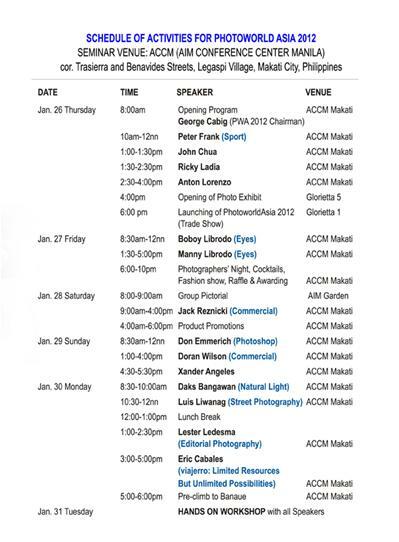 Free camera and sensor cleaning for the first 100 booth visitors on January 27, 2012.